Italian Oregano- Good culinary variety. 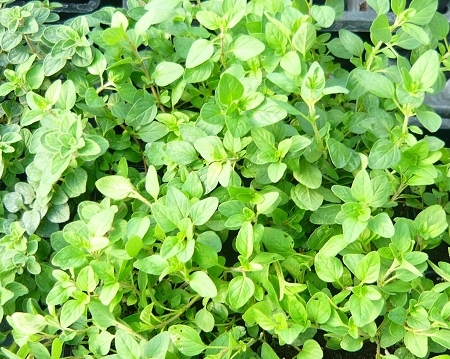 Somewhat milder and sweeter than Greek oregano, with rounder leaves. Excellent oregano flavor, use in sauces, pizza, and other tomato dishes. Easy to grow, nice container plant. Perennial zones 5-11 Live plant in 3 inch container.